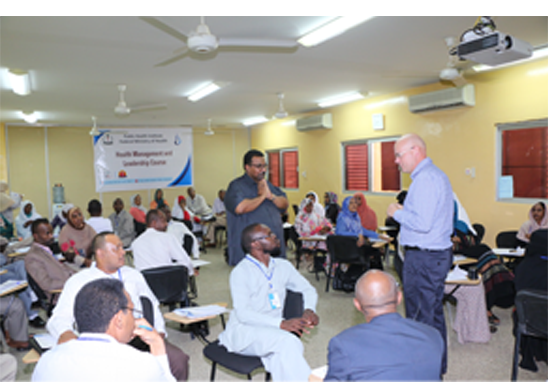 An engaging workshop on management and leadership was facilitated by Dr Maye Omar, and Duncan Ross from the University of Leeds on the 15th- 19th October 2017. The aim of the course was to build the capacity of the National Health Insurance staff from the states and the federal NHIF on health management and leadership to enhance their skills and abilities in the management of health insurance systems. It was an insightful and useful workshop which delved into the core management and leadership principles, strategies, and tools to move forward and drive real change. The venue was provided by the PHI, and this workshop was organized by the National Health Insurance Fund (NHIF).